RIYADH (Reuters) - U.S. First Lady Melania Trump praised the "empowerment of women" at a General Electric all-female service center in the Saudi capital on Sunday, saying the women should work together and educate their children well. She is accompanying U.S. President Donald Trump on his first international visit since taking office in January, and told 200 female employees she tried to find balance between her role of First Lady and mother. "It is about finding the balance," she told the women, who took pictures of her with their smartphones. Later on Twitter, she wrote "Enjoyed talking to the incredible women working hard @GE_Saudi service center. Great strides being made towards the empowerment of women." 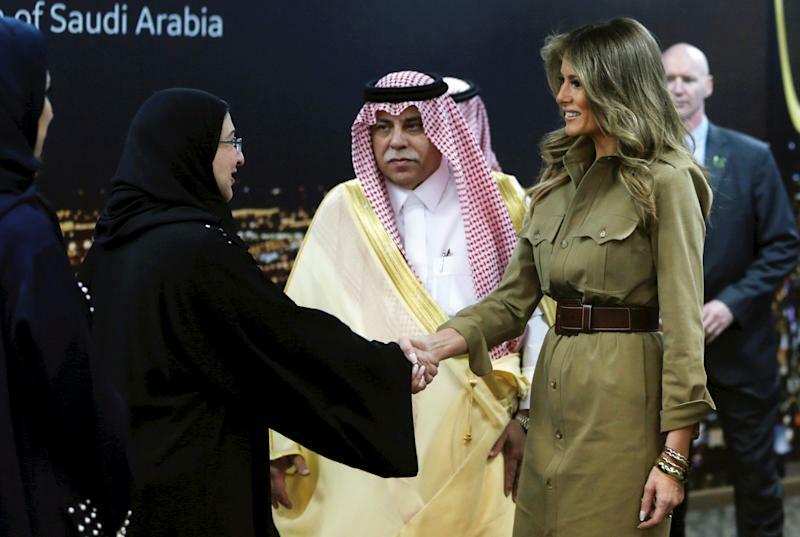 Dressed in a tan knee-length dress, Melania shared a photo of herself with seven women dressed in abayas, the loose-fitting, full-length robes local women are required to wear in public in Saudi Arabia. She earlier visited the American International School of Riyadh and gave out books. The school, unlike most others in the conservative kingdom, has both male and female students of different nationalities. Saudi Arabia is well known as the world's most gender-segregated nation, where women live under the supervision of a male guardian and need his permission to travel, study and get some health treatments. Since the late King Abdullah declared in 2011 that women could join the government advisory Shura Council, the situation for women has gradually started to change in line with moves to diversify the economy, employ more women and cut reliance on oil.